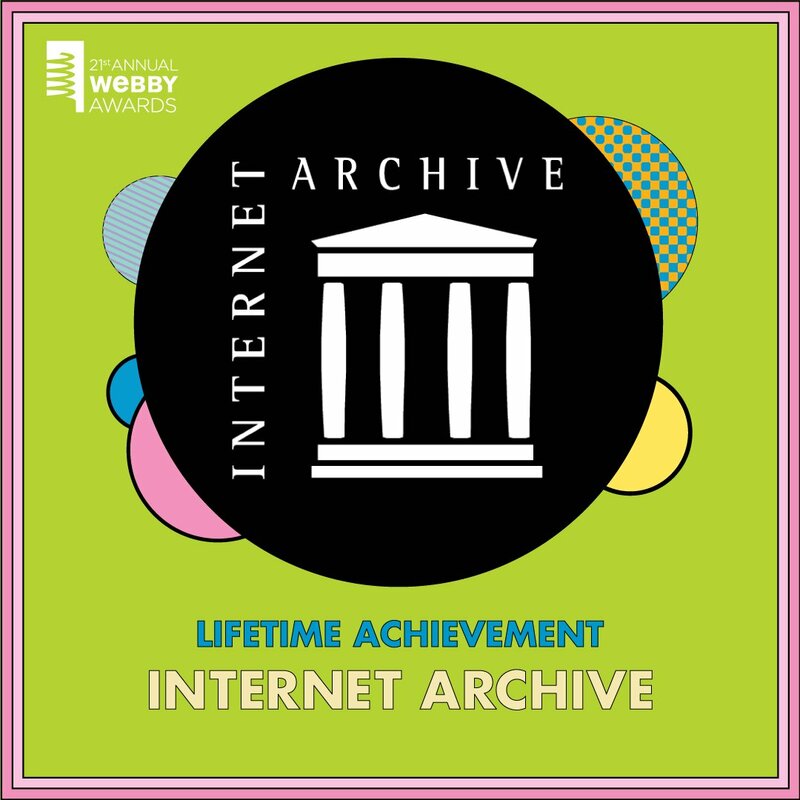 Webby Lifetime Achievement: Archive.org for its commitment to making the world’s knowledge available online and preserving the history of the Internet itself. With a vast collection of digitized materials and tools like the Wayback Machine, Archive.org has become a vital resource not only to catalogue an ever-changing medium, but to safeguard a free and open Internet for everyone. 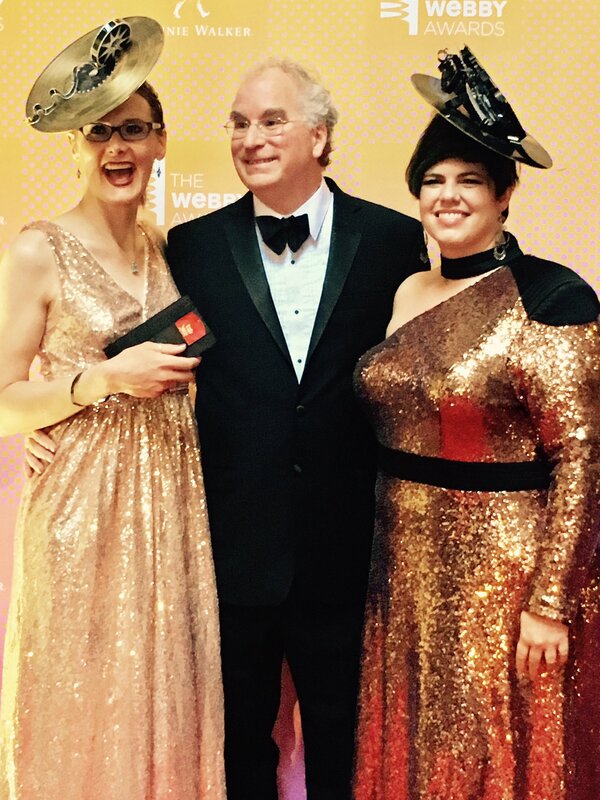 The complete list of Webby Award winners is available here. Bravo! I sent donations to the Internet Archive at Christmas in honor of my two adult children, and just sent them the news of this well-deserved award. As a librarian, I understand and appreciate how critical your work and the resources you provide are to the survival of open access to information, and I’m very grateful for your dedication! Thank you for your kind words and support! We need more librarians to help provide accurate information to the world. This is creepy; EVERYTHING WE DO DIGITALLY IS ARCHIVED FOREVER!! CIA, FBI and NSA are nothing compared to this!!! Of course they are HONORED BY the Esatablishment! Congratulations Internet Archive, love the valuable service you guys provide. A truly deserved honour for a stupendous achievement. Thank you for the energy and commitment that has created and that sustains the Internet Archive. This is important to lawyers in particular who may have to rely on the Wayback Machine in court. I congratulate the Archive and urge you to continue and to users to make a donation to the cause. A well deserved award – Congratulations!! As a market researcher I rely on the Archive to determine the twists and turns companies take as they evolve and occasionally as a critical tool when doing legal expert work. I’d be lost without the Internet Archive and will continue to gladly donate to the cause! We promise to use your donations wisely and ethically–to keep knowledge open! Wow, super duper awesome! I must admit, when I was first told about this website in my early days at San Francisco State Univ. I thought it sounded a bit far fetched. I’m glad someone knew we’d all be glued to our screens in some manner 10+ years later… Congratulations and well done. Thank You! I love this website. ever since 2011 it helps me restore some valuable pages I thought were gone forever. Your the award was definitely deserved, so congratulations! Hi! My husband was VP of Software at Silicon Beach Software. How can he contact you to see if any of his archives would be useful? You can write to us at info@archive.org and we’ll do our best to get you an answer. Well done Brewster, and everyone else who works so hard, to achieve so much, for so little personal gain. From our earliest WAIS days in 1990 to today’s searchable Wayback Machine, your tireless persistence and creativity is inspiring. I think you deserve a (Mr.) Peabody award!